Ubiquiti PBE-M5-300-ISO 5GHz PowerBeam M5 airMAX 300mm ISO RF Isolated Reflector. 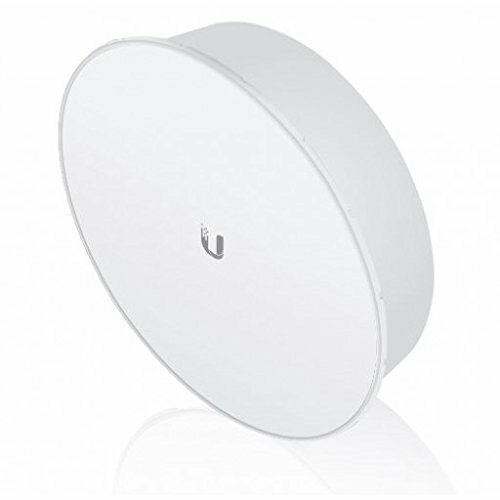 Install the PBE-M5-300-ISO-US PowerBeam M5 ISO 5 GHz airMAX Bridge with RF Isolated Reflector from Ubiquiti Networks into a variety of network configurations including point-to-multipoint, wireless client, or point-to-point and take advantage of enhanced beamwidth technology. Combined with RF isolation to filter out noise, it delivers a cleaner and more reliable connection. The PowerBeam ISO blocks noise to improve noise immunity.